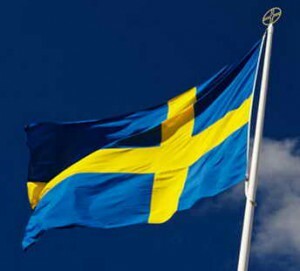 Sweden is a very interesting country from the point of view of ethic and esthetic rules and traditions. For better understanding of what kind of country Sweden is, we need to have some information about its history. Sweden is a small northern country. It took Sweden almost half a century to transform into one of the modern, innovative and rich states in the world from a poor weak agricultural country. The state government is trying to improve the environmental conditions, keep the air and water resources clean. Moreover, they are looking for the alternative energy resources to preserve the natural ones. It is a really challenging process, but the population supports the government. Both public utilities and citizens of the country provide the clean environment on the streets of big cities and small towns. The main principle of their life is the following: the truly clean place is that where no rubbish can be found. For example, the litter can be taken out only in specially allotted places. And the violation of the rules is liable to prosecution. People are very polite in all public places. To describe the national character the Swedes use the following words: shyness, reticence, complex, offishness, jealousy. But there are also positive features such as orderliness and reserve and tact in everything. The privilege for the citizens is the possibility to criticize the state, but this is strictly prohibited for foreigners. The main difference of the Sweden culture is that it is a shame to be a promissory to the society. It is impossible to use something, either it deals with work or work or things, at the expense of another person. Elderly people live their life in nursing or retirement homes not to bother their relatives. They believe that the fact that you are a relative does not mean that you should be dependable on your family. The same behavior of the Swedes can be traced in everyday life. Everybody pays for himself at the restaurant, takes food and drinks when going to meet with friends or family, thanks for the previous meeting (even if he does not like it). The Swedes are very punctual. Being late is considered to be very impolite or even rude. Laziness is considered not only as a negative feature but as a sin. The Swedes like to have the image of a very busy nation. The working and leisure time is strictly regulated. That’s why the Swedes don’t make friends with their colleagues and, of course, they never spend their working time to settle personal problems. We have looked at the everyday life of the Swedes. But how do they celebrate one of the most important holidays in people’s life? Nowadays wedding in Sweden is primarily not very big and held in a church or other place just for the closest friends and relatives. But a big ceremony can also take place. Some people have their wedding on a tropical island, but most couples chose an ordinary registration of marriage. Brides usually chose white dresses. If speaking about the traditions, a black dress was considered to be a wedding one. Women put on a black dress for special occasions, but for the wedding it was decorated with silk fabrics, flowers, lace, beads and silk ribbons of different colors. A bride wore a wreath made of myrtle garland. A veil was white. There is a tradition in Sweden. Before the wedding newly wedded couple takes pictures and then goes to the church decorated with flowers and branches of birch. At the wedding reception the Swedes propose toasts and sing songs. The newly married couple starts dancing after the dinner. After the first night a wife gets a present from her husband. This present is called «morgongåva» that means “morning gift”. In the past a husband usually presented some jewelries and it was a kind of insurance for a wife in case her husband would die. Today not all people follow this tradition. There are also some superstitions about the wedding: if a bride has a silver coin in her shoe, the family will have enough money; if it is raining or snowing during the wedding day, the couple will be rich. There is also a tradition to wear on the wedding day something old, something new, something borrowed and something blue. This tradition can be explained this way: something old is connected to a family history and helps to build a new better life; to have something borrowed means to remember friends; and blue color means faith. In the conclusion I would like to say that Sweden is a very interesting country which every one of us should visit to understand the similarities and differences in our lives. As for their traditions, they represent the Swedes’ attitude to the past and future. This entry was posted in Aesthetical, Ethical on 22/03/2016 by Mary.